You can carry it on your key-chain, fasten it in the hand with the Velcro-like strap. SAFETY ISN'T EXPENSIVE, IT'S PRICELESS! 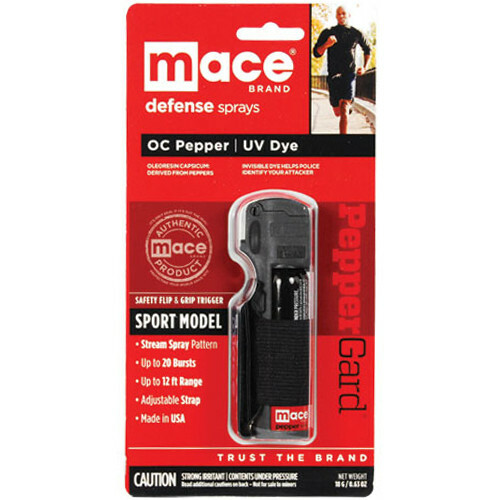 LEGAL RESTRICTIONS: WE CANNOT LEGALLY SHIP MACE PEPPER SPRAY TO MA, NY AND WI DUE TO THE LAWS OF THOSE STATES. WE DO NOT SHIP OUT OF THE US.